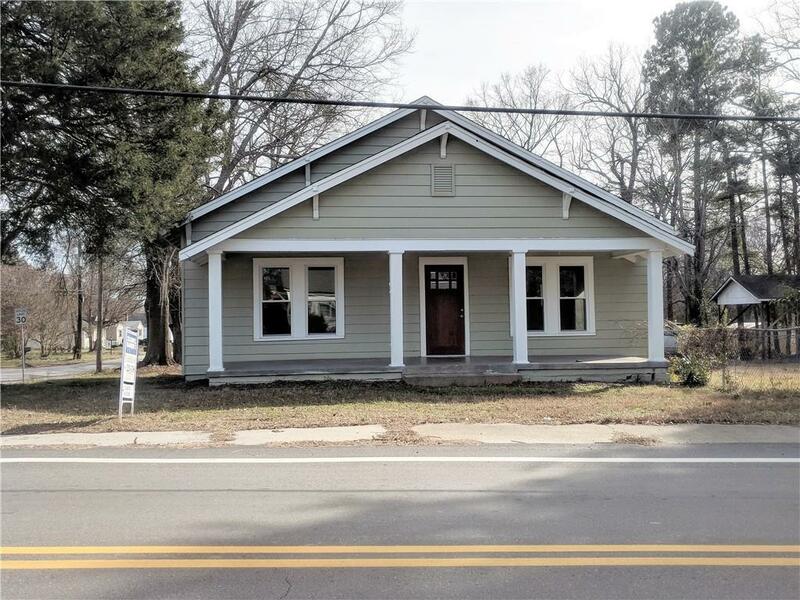 Completely renovated and located in the heart of the small town of Williamston. Anderson district one schools. Within walking distance to the Williamston Mineral Spring Park. This home has been renovated from top to bottom, inside and out. The updates includes: new 50 year architectural shingles, new energy efficient windows, new HVAC (gas pack and all new ducts), upgraded electrical wiring, all new plumbing and new hot water heater. Fresh new kitchen that is open to the living area. The updated kitchen features granite countertops, a farm style sink and shaker style white cabinets. The master bath has been remodeled and a half bath has been added. Refinished original heart pine wood floors throughout the home, with the exception of the back bedroom that has brand new carpet. This is basically a brand new home, while maintaining its older charm.